The Caribbean Catastrophe Risk Insurance Facility (CCRIF SPC) announced Thursday, that Montserrat and the British Virgin Islands have joined the facility and purchased coverage for the 2018/19 policy year beginning June 1st. 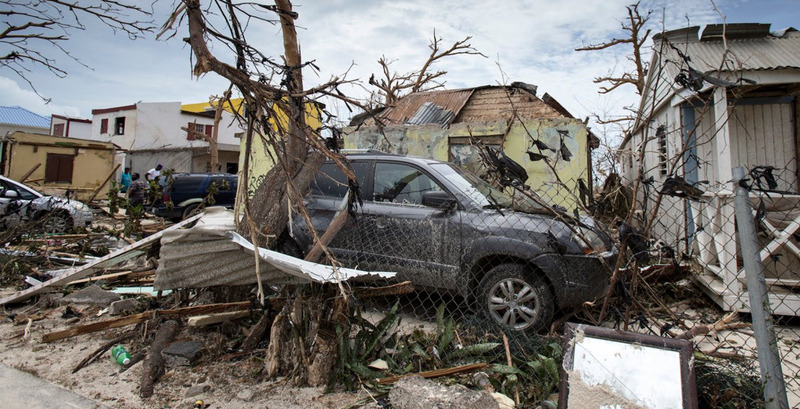 According to a release from the CCRIF, both countries obtained tropical cyclone and excess rainfall policies and the Government of the Virgin Islands also purchased cover against earthquakes. CCRIF’s membership now stands at 19 countries – 18 Caribbean governments and 1 Central American government. “The addition of these two countries to the risk pool is consistent with our current strategic direction which is geared towards scaling up the facility by adding new members, increasing products we offer and also encouraging members to increase coverage levels”. “Governments and citizens in the region have witnessed first-hand the impacts of extreme geophysical and climate events throughout the past decade – highlighted by Hurricanes Matthew, Irma and Maria in the past two years – and have been encouraged by CCRIF’s rapid response and payouts. Since CCRIF’s inception in 2007, it has made payouts totalling US$130.5 million to 13 member governments, including US$83.6 million for Matthew, Irma and Maria, which have accounted for 64 per cent of the total. Even after these payouts, CCRIF remains financially solvent with its long-term sustainability intact. “All 36 payouts to date have been made within 14 days of the end of the event – a core principle of CCRIF SPC. In some cases, partial payouts were made within 7 days upon request by the recipient governments. “Indeed, the two new members are joining CCRIF at a time when many countries are increasing their level of coverage. While all existing member policies were renewed for the 2018/19 policy year, 12 member governments increased the value of their coverage limit by at least 10 per cent for either Tropical Cyclone or Excess Rainfall policies. These countries all recognize that climate change is likely to exacerbate the impacts of hydrometeorological events – resulting in more frequent intense storms as well as greater variability in periods of excess rainfall and drought – and that the use of parametric insurance can be applied to strengthen their climate resilience. Additionally, two countries increased the coverage limits on their Earthquake policies. CCRIF SPC is a segregated portfolio company, owned, operated and registered in the Caribbean. It limits the financial impact of catastrophic hurricanes, earthquakes and excess rainfall events to Caribbean and – since 2015 – Central American governments by quickly providing short-term liquidity when a parametric insurance policy is triggered. It is the world’s first regional fund utilising parametric insurance, giving member governments the unique opportunity to purchase earthquake, hurricane and excess rainfall catastrophe coverage with lowest-possible pricing. CCRIF was developed under the technical leadership of the World Bank and with a grant from the Government of Japan. It was capitalized through contributions to a Multi-Donor Trust Fund (MDTF) by the Government of Canada, the European Union, the World Bank, the governments of the UK and France, the Caribbean Development Bank and the governments of Ireland and Bermuda, as well as through membership fees paid by participating governments. In 2014, an MDTF was established by the World Bank to support the development of CCRIF SPC’s new products for current and potential members, and facilitate the entry for Central American countries and additional Caribbean countries. The MDTF currently channels funds from various donors, including: Canada, through the Department of Foreign Affairs, Trade and Development; the United States, through the Department of the Treasury; the European Union, through the European Commission, and Germany, through the Federal Ministry for Economic Cooperation and Development. In 2017, the Caribbean Development Bank, with resources provided by Mexico, approved a grant to CCRIF SPC to provide enhanced insurance coverage to the Bank’s Borrowing Member Countries that insure through CCRIF against tropical cyclone, earthquake and excess rainfall risks.